What I love about working on commissions is getting to know the collector and creating a painting that is uniquely theirs. The challenge that inspired me for this work was the request that the painting be all white – with a touch of gold. 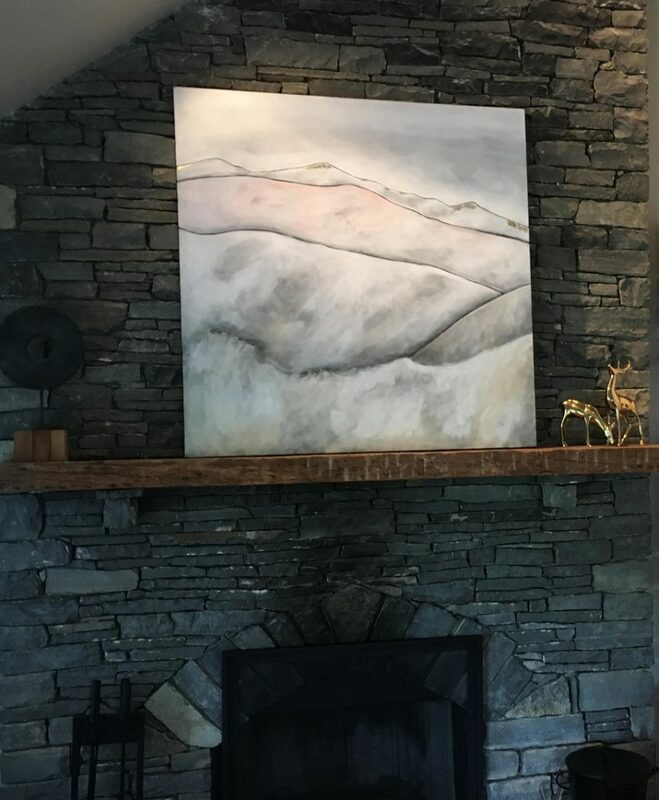 The finished painting is inspired by the mountain views from the cabin, it’s 52” X 52” and is mostly white. This one evolved slowly, over several months, as I layered shades and textures of white, along with touches of color. Maybe we’ll see you in Lost River!